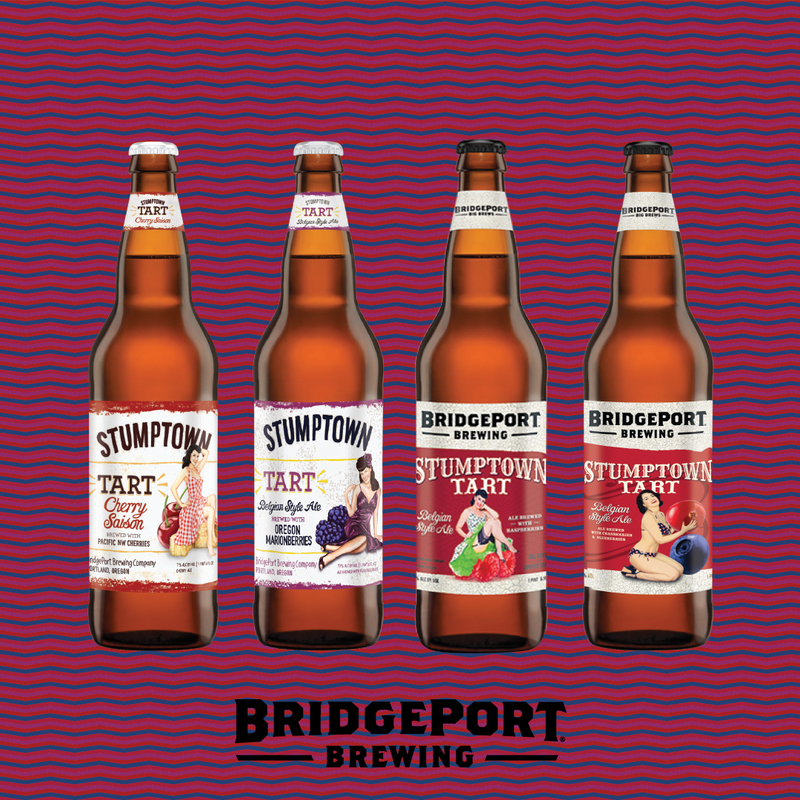 Join BridgePort Brewing for the first-ever Stumptown Tart flight at the BridgePort BrewPub on Thursday, May 5. The release of our Stumptown Tart is an annual treat but now you can taste four different versions side-by-side. Available for one-day-only, BridgePort will feature the newest release, 2016 Stumptown Tart Cherry Saison, 2015 Stumptown Tart Marionberry, 2015 Stumptown Tart Raspberry, and 2013 Stumptown Tart featuring Blueberries and Cranberries, all on tap. Each edition of the Stumptown Tart features locally grown fruits as a tribute to the fresh bounty that is cultivated in the beautiful Willamette valley at the foothills of the Cascade Mountains. Tasting starts at 11:30a and we’ll be pouring until we tap the kegs! Come by the BrewPub located at 1313 NW Marshall Street in the Pearl district and celebrate the arrival of summer with us.